Originally printed on November 7, 2018. CATTO Peacefully, at Roxburghe House, on Saturday, November 3, 2018, Keith, aged 61 years, beloved husband of Alison, much loved dad of Paul, Leanne, Elayne, Craig, Beth and Joe, doting grandad of Jamie, Sophie, Zack, Henry, Emily, Ria and Eli, a loving son of Luella and the late George and dear brother of Laura and Linda and friend to many. Funeral service, at Summerhill Church, on Monday, November 12, at 1.30 p.m. All friends respectfully invited. 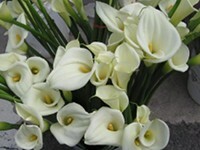 Family flowers only, please but donations, in lieu, if desired, may be given in aid of Cancer Research U. K., at chapel door.